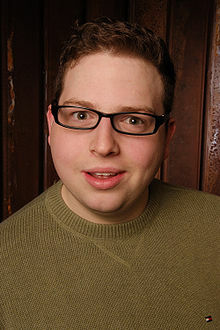 Brandon Allan Hardesty (born April 13, 1987) is an American comedic performer and actor. He was born in Baltimore, Maryland. In September 2007, upon seeing Hardesty's YouTube videos, a producer of the movie Bart Got a Room e-mailed Hardesty expressing interest in casting him for a supporting role. Hardesty was cast as a lead in a short movie "Ham Sandwich," directed by David Green. In 2013, Hardesty has been cast in roles in the movie Seven Minutes as well as The Scorpion King 4: Quest for Power, the fourth installment in the Mummy movie franchise. This page was last changed on 6 April 2019, at 22:40.